The latest unemployment data, issued by Eurostat, shows a record 12.1% of the eurozone’s population is jobless. Top of the unemployment list are countries that have undergone EU bank bailouts. 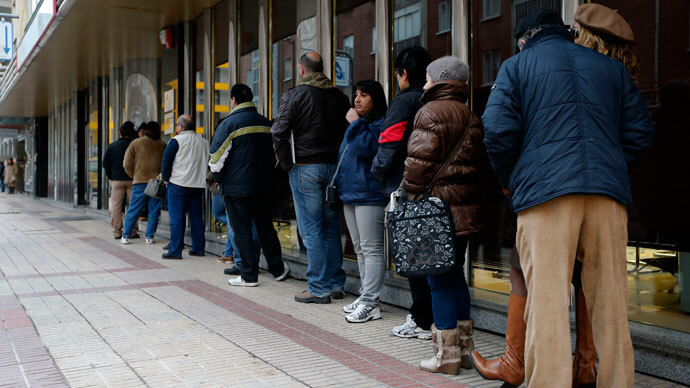 The overall number of people currently out of work in the eurozone has reached 19.21 million. The EU member hardest hit by austerity – Greece – has the worst unemployment, according to Eurostat’s survey for March 2013, published on Tuesday. 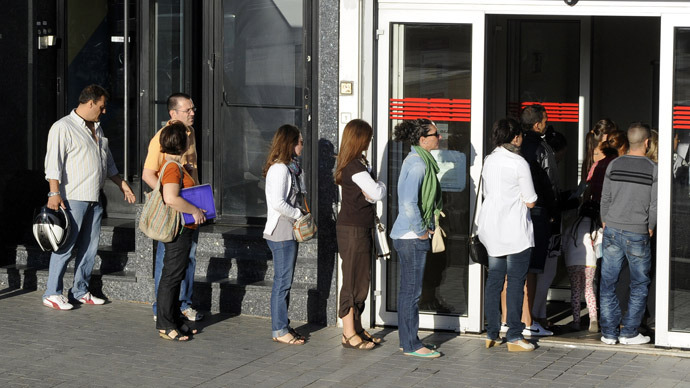 The country has more than a quarter of its citizens jobless (Eurostat reveals figure of 27.2% for January 2013). The number out of work is expected to rise even further after Athens agreed to sack 15,000 civil servants as part of the requisite for the 2.8 billion euro part of its latest bailout tranche. Other subjects to austerity, Spain and Portugal, also see their unemployment levels nearing those seen only during the Great Depression. And it’s not only a problem for countries forced to tighten their belts. France has its unemployment - with 5 million jobless – at all time high. For those aged 25 and below, in countries like Spain and Greece, the unemployment rate is as high is close to 60%, with very little sign of improvement. To find out the real extent of the problem RT’s Tesa Arcilla spoke to some of those who were forced out of their homeland by unemployment. Nicollo Regalzi, a biology graduate from Italy had to come to Brussels and embark on a chocolatier career. “The situation in Italy was actually awful. Because the only thing I was able to get is a really short contract like three months or six months with absolutely no possibility of growing up in an industry,” Regalzi complains. He says it wasn't a walk in the park in Belgium, either, as many companies required working knowledge of both French and Dutch -- a barrier that may be hard to overcome, but it was still more attractive for him than going back home. “I read that in 2012, the percentage of young people who emigrate from Italy grew by 30-40%. I really don't know what it will be in 2013 because the situation is going from worse and worse," according to the young Italian. And it's not just EU citizens feeling the pinch. Foreigners who came to Europe to seek new opportunities -- starting their own businesses and building their lives -- have now also changed their minds. For Adriana Moreno, this meant leaving Greece and going all the way back to her native Ecuador. And while homesickness was the initial reason for the move, she has no regrets about making that decision. “Many foreigners decided to leave Greece and move to countries like Germany and Switzerland. But the Greeks who stayed behind are saying that the situation is really difficult there. 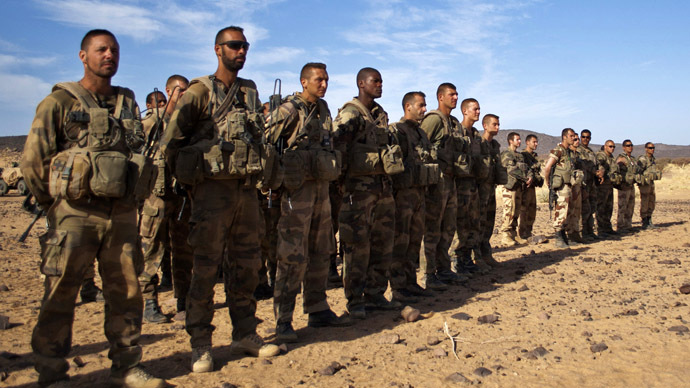 For instance, servicemen who used to get 1,500 Euros are now paid just 900," Moreno says. Ireland saw 63,000 people leave the country last year, which is the highest level of emigration in a decade. “It's a trend. If you look at the figures, countries like Ireland, some people argue that a whole generation has left,” Pieter Cleppe, Head Of Brussels Office of Open Europe says. The “current plan is that Germany has to bailout the rest of the eurozone,” the expert told RT. But, he went on, some people claim that “the Germans are selfish,” since they are able to do so, but are not willing to. This myth is however debunked with figures, Cleppe says. Germany is “suffering as well,” the expert noted. 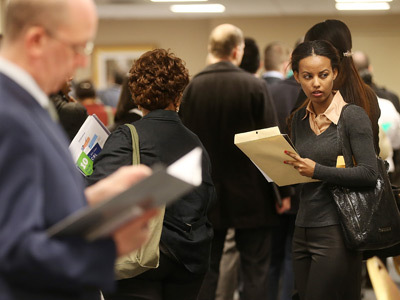 “Its economy is not great: it’s not negative growth, but the unemployment is slowly going up. And this should be a lesson,” he pointed out. As job rates in Europe plummet to their all time lows, some analysts see it as a sign that billions of euro in bailouts could work fine for balancing a country’s finances, while at the same time not making economies any healthier.